There is also considerable potential for expansion of bio-waste management, which will have a positive impact on the labour market. 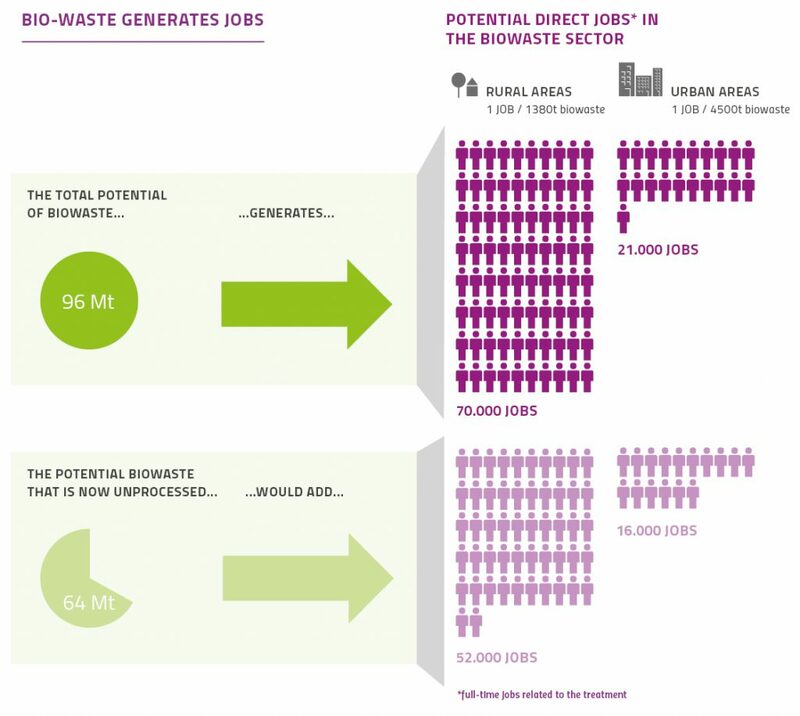 Assuming that an additional 60 million tonnes of municipal bio-waste could be collected and composted/anaerobically digested across Europe, up to 50,000 new jobs in Europe could be created. This is particularly relevant in areas of high unemployment, such as southern Europe, where bio-waste treatment capacity is currently small and the potential significant. Sustainable bio-waste management could also be used to strengthen rural areas, regardless of whether agricultural anaerobic digestion or composting plants are built.